I’ve been meaning to post this recipe for quite some time now and I fear I’m almost too late – I don’t think kale is actually in season any more. But the problem with my goldfish memory is that if I add it to the vault to post next year, chances are I will have completely forgotten I ever cooked it, let alone took the photos to show you all! 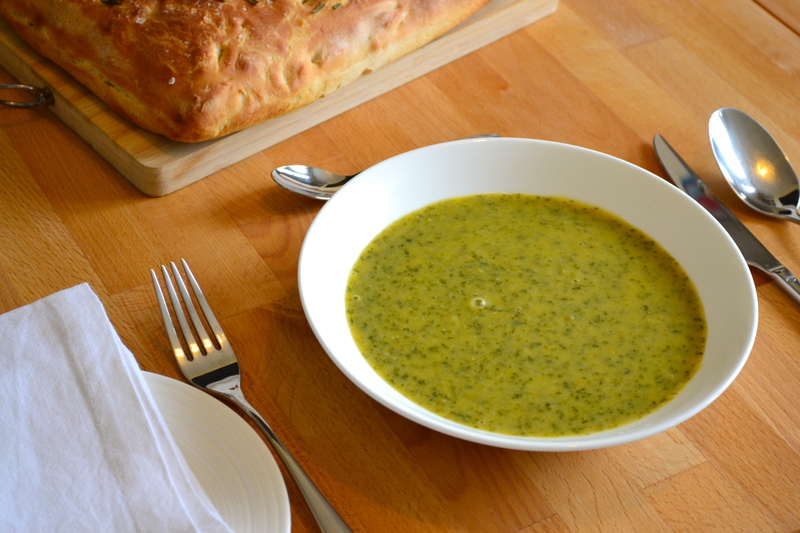 So it’s now or never… even if now is a rather beautiful sunny day not terribly well suited to a bowl of thick, fragrant, warming soup! It’s too delicious to be forgotten about though and very easy to whizz up quickly for lunch. It might sound a little odd to add orange to a soup. 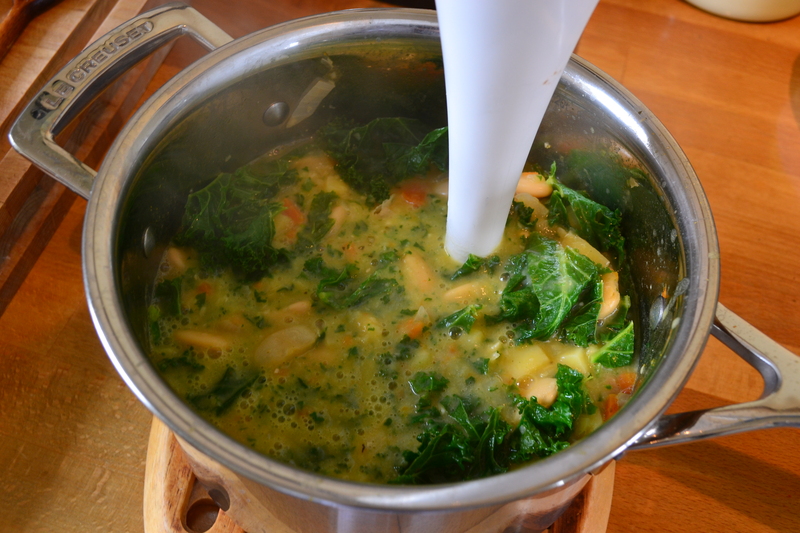 But the combination of orange with kale, rosemary, cinnamon, and a hint of chilli really is a great one, and the butterbeans make this soup wonderfully silky and thick. If you don’t have any butterbeans, just substitute in another sort of bean – I’ve used cannellini beans before too. The recipe below includes ingredients and instructions to make a topping for the soup but sadly I’ve always been too lazy to get that far so can’t report back on that bit. But I imagine it would be a delicious addition and make the finished result look a bit prettier too! 1. Heat the oil in a large saucepan. 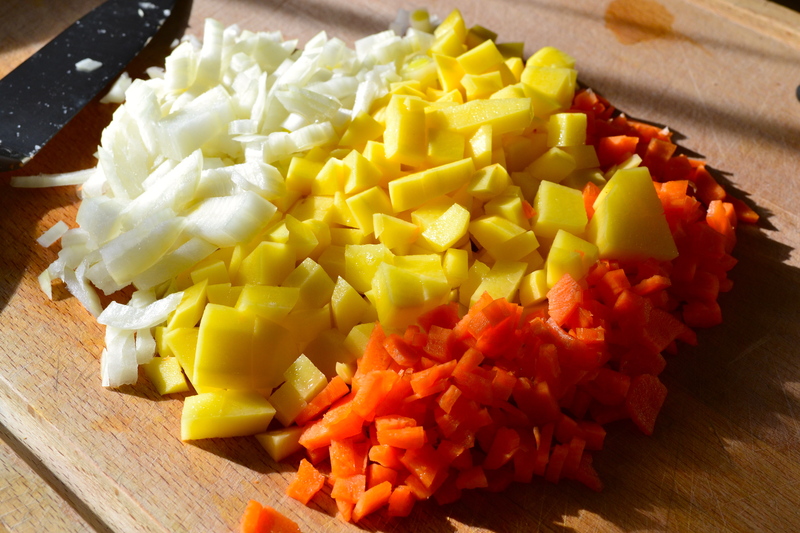 Add the onion, potato and carrot and cook over a low heat until the onions are glossy and tender. 2. 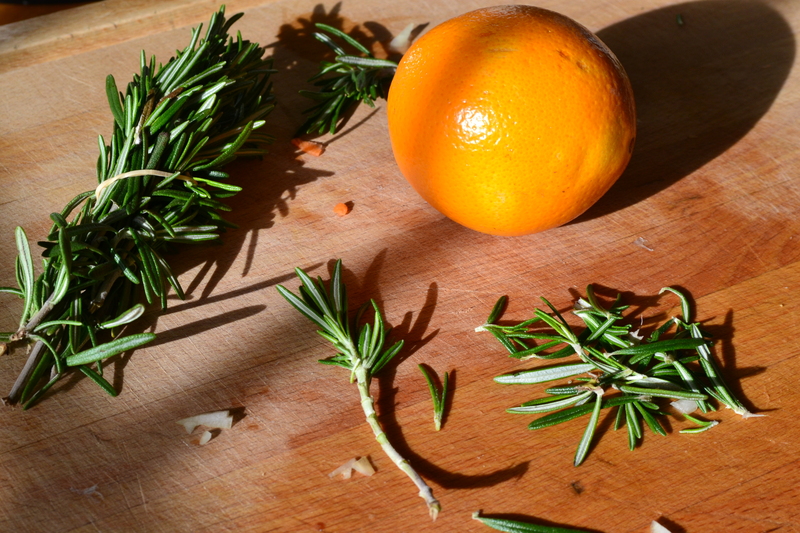 Stir in the garlic, chilli, rosemary, cinnamon and orange juice and zest. Cook until the orange juice reduces to a sticky glaze. 3. Add half the stock and all of the beans. Let it bubble gently until the potatoes and carrots are tender. Add the kale and cook for a minute or so until wilted. 4. 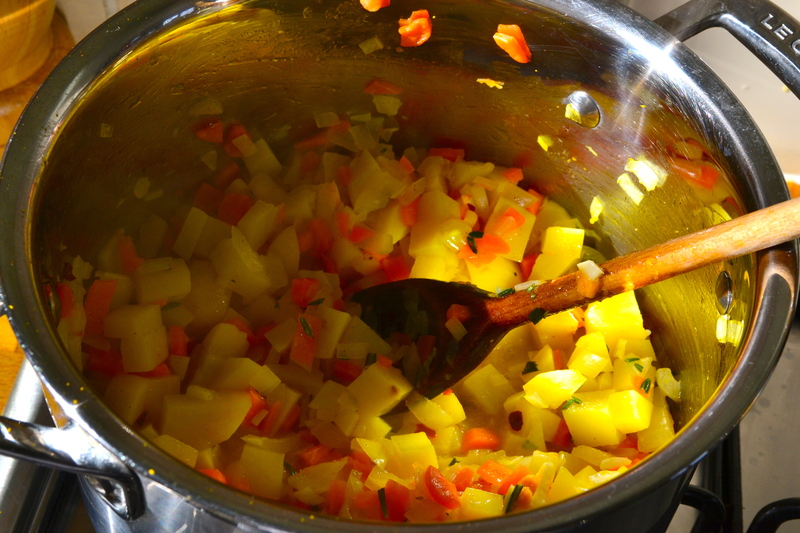 Whizz the soup in a food processor or blender until smooth, adding more stock as needed to reach the desired consistency. Season to taste. Add more orange juice or chilli if needed.